This is a special issue, edited by Ellen MacArthur, which is very well worth purchasing as a resource. 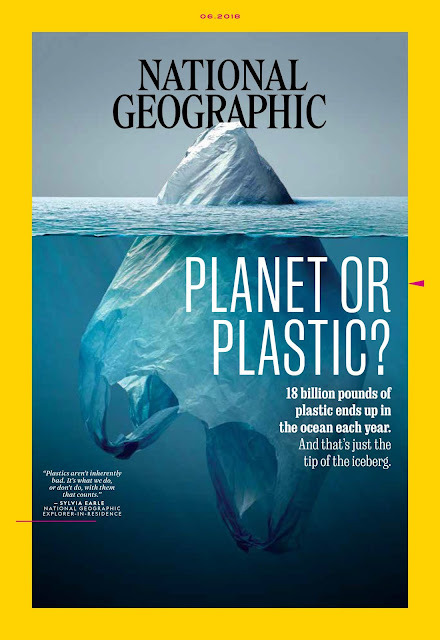 The front cover is a familiar image to our Year 8 students, as we used it in a resource to explore the issue of ocean plastics. There are some excellent visualisations and articles on a range of topics in addition to the main theme. You can also take a PLASTIC PLEDGE on the National Geographic website.